The city of Davangere (Davangere) is located 260 km away from Bangalore, at the Western Ghats foothills. Over the years the city has turned out to be a major centre for economy and business. Davangere was earlier significant for its cotton mills and was a textile centre. 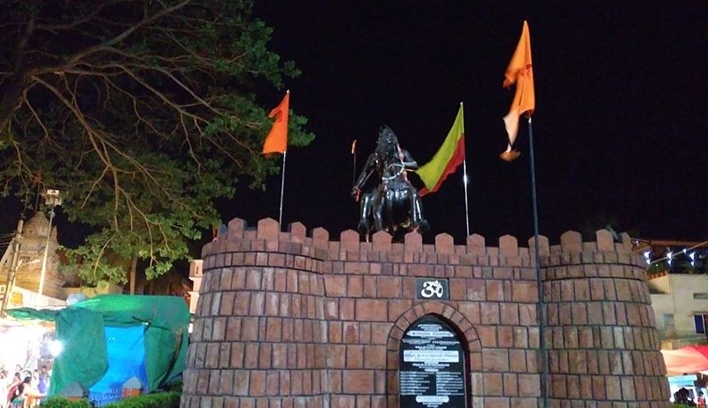 Also called the Manchester of Karnataka, the city started as a business place right from the days of Haider Ali. History states that the Nizam presented the city to a Marathi leader, Apoji Ram, encouraging entry of merchants in the place. It is also known for a number of dishes like dosa, butter or benne dosa, benne masala dosa, kara mandakki (puffed rice with spice), atikai bonda and nargis mandakki. A flourishing industrial place in South India, Davangere also serves as a holiday destination. Among its tourist places is the Anamalai Wildlife Sanctuary that has a rich collection of flora and fauna. There are Siruvani Waterfalls and Dam that is 37 km on the west part of the place. Given here are some of the popular tourist spots in the city. This wildlife sanctuary was established in the year 1976 and was named Indira Gandhi Wildlife Sanctuary back then. It was renamed as Anamalai in 1987. The place became a national park in 1989 when a total of 108 sq km of area was demarcated. The rainfall is affected by its topography that has also been responsible for the savannah forests, evergreen and wet forests, deciduous forests and dry scrub areas. The diverse nature of this sanctuary is simply amazing. Animals like gaur, elephant, chital, wild boar, muntjac, giant squirrel and muntjac can be seen easily. Leopard can be sighted commonly as one of the predators in this national park. There are different species of birds that include the Malabar whistling thrush, great pied hornbills and grey jungle fowl. This is one of the popular tourist spots in Davangere. Families often come here for picnic. It is located towards the left of Pune-Bangalore NH-4 bypass. The spot is close to the Kundwada Village in the city of Davangere. The place is known for breathtaking views of sunrise and sunset. The tank is here is an important source of water for drinking. Kunduvada Gere has an area of 253 acres. The tank can be used for storing water during the hot summer months in the city. The temple of Goddess Durgambika dates hundreds years back to the reign of Chalukyas. It was then a part of Nolambavadi Province. The temple saw reins of administration being shifted from the Chalukyas to Pandyas and then from the Hoysalas to the Vijayanagara Empire. It was finally taken over by the royal family of Mysore. The stone which was brought as shrine nearly 200 years ago with time transformed into the present day temple. This is one of the biggest temples in this place and is dedicated to Goddess Durgambika. Celebrations take place in the montj pf March and April. This church was built in 1946 in Prince Jayachamarajendra 6th Cross. It later got renovated in 2002. Roman Catholic Christians visit this place regularly on Fridays and Sundays. The church is built in typical Roman Catholic style and has serene and beautiful surroundings. Christmas is celebrated with much pomp in this place and a number of Christian families gather around to be part of it. Perfect for those who love to visit churches and sit quietly, away from the noise of city life. Sri Chennagiri Rangappa Clock Tower is another must see if you are in the city of Davangere. This is a clock tower and serves as an important landmark in the city. It has a length of 75 ft and was led foundation by a Deewan of Mysore. The clock tower gets its name from Sir Chennagiri Rangappa who financed it. While there was a mechanical clock initially, it has now been replaced with a HMT solar clock. Devangere can be reached easily from the cities of Bangalore, Mangalore and Hubli. The aerial distance from Devangere to Bangalore and Mysore is 244 km and 255 km respectively. The Hubli Airport is closest at 132 km. There are no regular aerial routes, however from the other important cities of Karnataka to this place. The rail distance between Bangalore and Davangere is 320 km while Hubli is 143 km away from the city. Mysore is 327 km away. There are no direct trains from Mangalore. Mangalore is 282 km away by road from this place while Bangalore is closer at 262 km. Mysore is 319 km from this place and Hubli is closest at 150 km. There are buses (though not from every city) and cabs available to travel the distance.